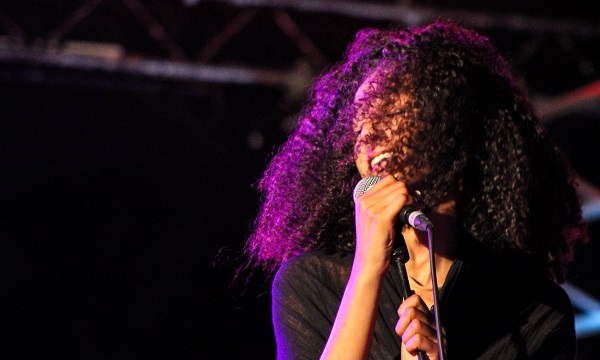 Singer-songwriter, Neyssatou emanates from the alternative musical scene in Tunisia. With her distinctive vocal style and committed lyrics, she succeded in creating a unique musical fusion, inspired by Jazz, Soul, Rock, Funk, Electronica, and Reggae. Her success has exceeded the boundaries of her country of origin to win over the UK, France, Spain, Canada, Lebanon, Morocco, and Egypt leading to over 30,000 followers on facebook and hundreds of thousands of youtube views. Her melodies were forged by the cries of her once enslaved fellow countrymen, the true words of the poets without whom the sound would have remained mute, the commitment to truth, beauty and joy, the sharing of human emotions through a note, a strike, an embroidered vibration. Badiaa started her musical journey at age 7, as a soloist for a local choir, later joining the Tahar Haddad choir which was dedicated to classical Arabic music such as Mouwachahate, Malouf etc. In 1998, in Tunis, she joins Rock band the “Black Angels”. This combo was dedicated at the time to covering the iconic bands of the international Rock scene such as Deep Purple, Led Zeppelin, Megadeath and Pink Floyd. She intensified the fusion later with “Dayrib” a Tunisian Ethno- Rock band, to later form, in 2001, “Kheprae”, a free improvisation band. 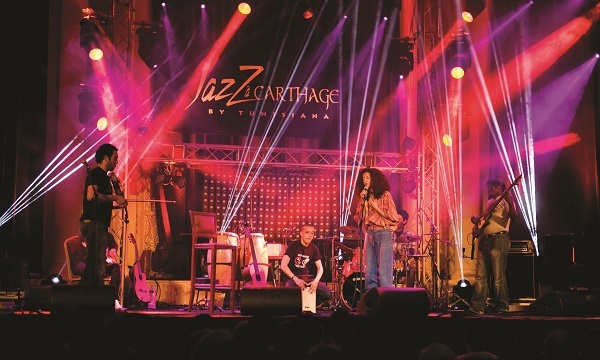 She then discovered electronica and, computer in tow, she discovers Paris and its scene, then a guitar, musical compositions with a minimalistic vein, and, while getting closer to her roots, her voice comes slowly free, revealing her origins in the Tunisian North West, Le Kef, with its strong Amazigh influences. Badiaa sculpts her new world of sound, under the name Neyssatou. 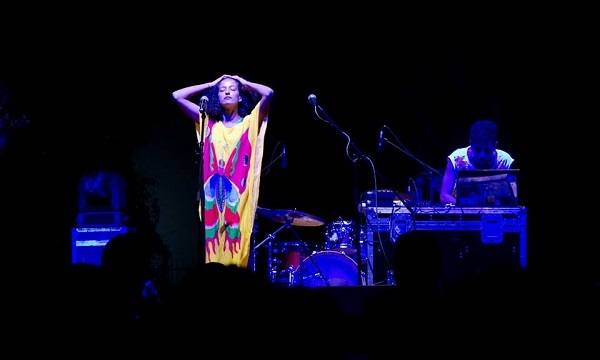 Neyssatou claims herself from the lineage of musicians such as Björk, Oumou Sangaré , Oum Kalthoum, Kamilya Jubran and Saliha. 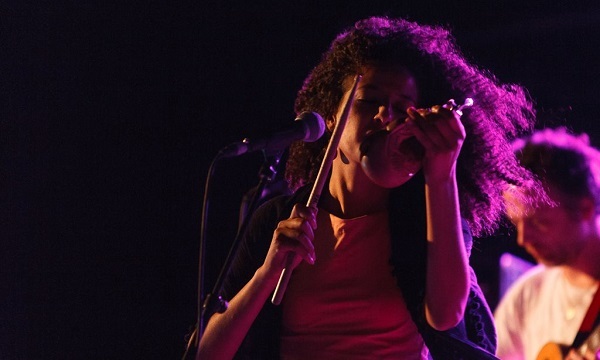 The Neyssatou project voices the new sound of North Africa. Born from the underground scene where it claims its hybrid and multiple cultural heritages, drawing inspiration from African music, Reggae, classical Arabic music as well as the new British scene, Neyssatou is a musical experience and a voice that neither wishes itself to be traditional nor polished folklore, nor an artificial fusion, but only an expression of authentic music. 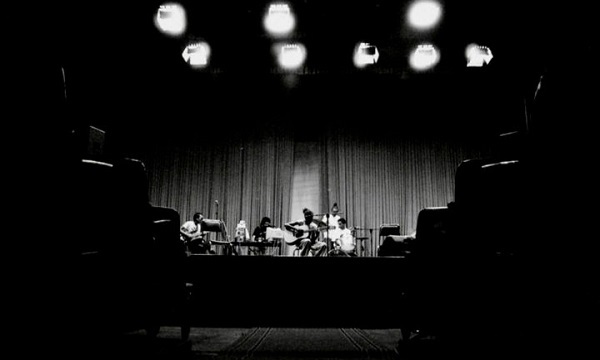 Neyssatou performs with a violinist playing tense, melancholic Eastern scales, an electric guitarist, and percussionist shifting between a western drum kit, the cajón, and tablas. Her and the band are currently producing an album and will be on tour in 2015.